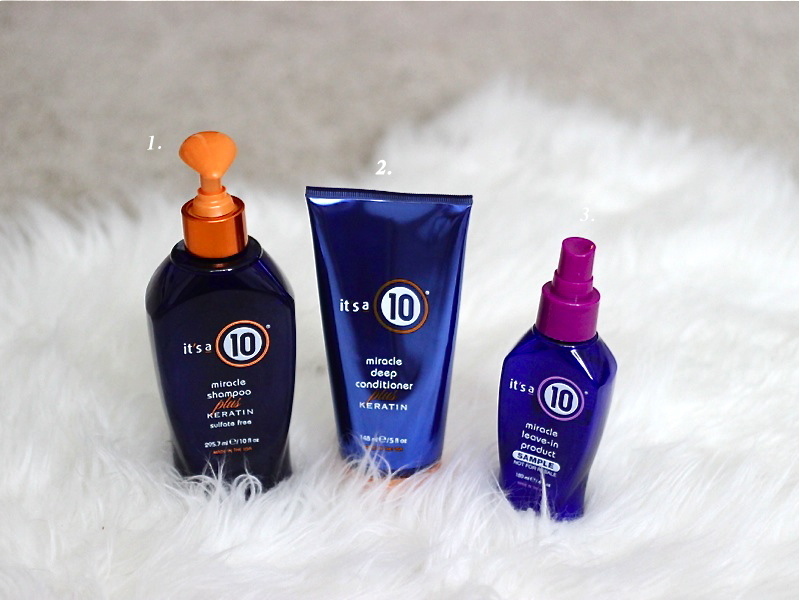 Today’s topic is my new favorite (hair) product line called “Its a 10.” For my hair, you might say it was love at first sight. This product line has completely changed the texture and strength of my hair leaving it silky smooth and much easier to manage and style. Let me back up a bit. About two months ago, I decided to go back to blonde after having my darker ombre for almost a year. I thought it would be an easy process since i’ve made the switch between dark and back to blonde numerous times. This time it was different and in one “painful” session with my hair dresser, I went from the best ombre I’ve ever had to the orange of my worst nightmare. Not only was my hair now orange, it was falling out in chunks! Right away my hair dresser said it could be fixed but I was too upset that evening to try to do anything else to it. So, i went home and came back a day later. My hair dresser was able to tone it but the damage was done. Once I was back to doing my regular shampooing my hair started to fade and turn orange again. Well long story short, three more people later and about 600$ my hair is still not the color I wanted and on top of that it got pretty damaged. So back to the silver lining of my little grey could. When I gave “Its a 10” a try, it saved my hair. The product line is called “Its a 10″ because, you guessed it, it does ten things for you (each product has these ten things written on the back of it’s label). 1: I use the miracle shampoo, and remember a little goes a long way. 2: For conditioning i use the miracle deep conditioning, I have a brush in the shower with me and once I’ve put the conditioner in my hair, I brush through it. I’ll usually leave it in for about 4-5 minutes, again, a little goes along way. 3: Once I get out of the shower and towel dry my hair a little, I’ll spray some “It’s a 10 Miracle Leave In”. It also acts as a heat protector, love that about it. For me, this product works best if you blow dry your hair while brushing with an oval brush. 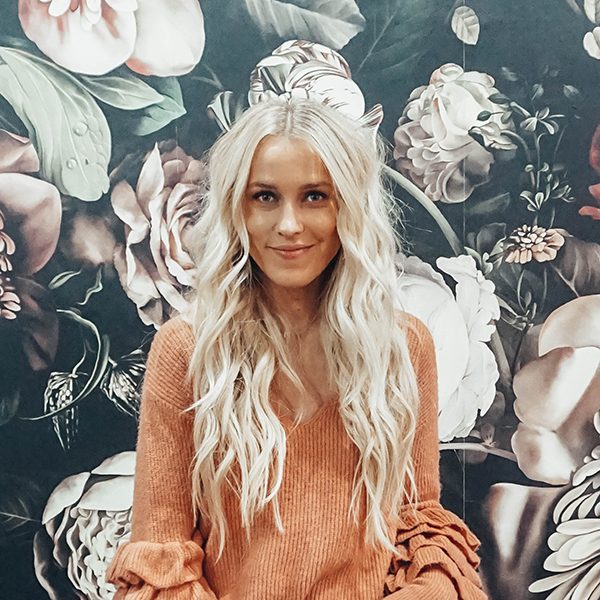 If you love to wear your hair straight, well you won’t even need to straighten your hair after as your hair will be silky and smooth,-and no frizz:) I even washed my extensions with this and blowed dried them and O…M…G… they feel so amazing! So, if you have really damaged hair (especially you blondes out there) or are just looking to give your hair a “boost”, I strongly encourage that try this product line, you will not regret it. You can check out their website Itsaten and read all about the products they offer!